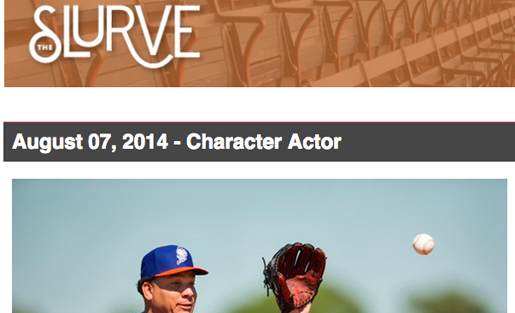 Daily baseball newsletter Slurve averages about 150 links and 2,700 words per issue. The Skimm was started by two NBC News producers in their 20s. It’s been around for two years. It goes out at 6 a.m. They have $1.1 million and 7 employees. They don’t talk about their subscriber numbers. Their blog is a fantastic read on media entrepreneurship, and we should hand it out to incoming freshmen at Chapel Hill. Time’s email newsletter has 650,000 subscribers. The curated daily list of 12 stories every morning has a 40 percent open rate, that it says is twice the industry average. That’s up from a 17 percent open rate when it was auto-generated headlines. Alexis Mardrigal’s email newsletter has a 60 percent open rate. Nieman Labs’ email newsletter (in March 2013) had 10,000 subscribers and drove 3 percent of monthly pageviews. If what I’ve seen elsewhere holds true, each visit from an email newsletter is worth about 3x as many page views as from social media. At Buzzfeed, email ranks behind Pinterest in the amount of traffic it generates for the site. The number of subscribers to Nieman Lab’s email newsletter is 10 percent of the number of Twitter followers it has. Alexis Madrigal’s email newsletter had 8,800 subscribers in July. That’s about 5 percent of his Twitter followers. 75% of Digg’s users say they use email to share links in April 2013. It was more popular than any other service they used to share links. Today in Tabs had “around 1,000″ subscribers in January. In June, Nieman Lab used a Twitter card to solicit subscriptions to the newsletter. It went out to 157,000 followers and yielded 370 new subscribers. “The Arizona Daily Star’s site saw a 30 percent increase in email newsletter signups January through February. The Slurve is a daily newsletter about baseball. It costs $4 a month or $36 a year. It goes out about 10 a.m., and has about 150 links and 2,700 words. "If what I’ve seen elsewhere holds true, each visit from Nieman Labs' email newsletter is worth about 3x as many page views as from social media." This post originally appeared on ryanthornburg.com. Briefing (http://briefi.ng) is another promising news summary. It takes a beautifully minimalistic approach to the daily news that appeals to readers beyond the Skimm’s target audience.